Collect your online marketing data with Cervinodata. Explore it with Sigma Computing. Sigma Computing is a powerful cloud data analysis & visualisation platform that marries the control and familiarity of the spreadsheet to the power of cloud data, giving business experts more access to their data than ever before. 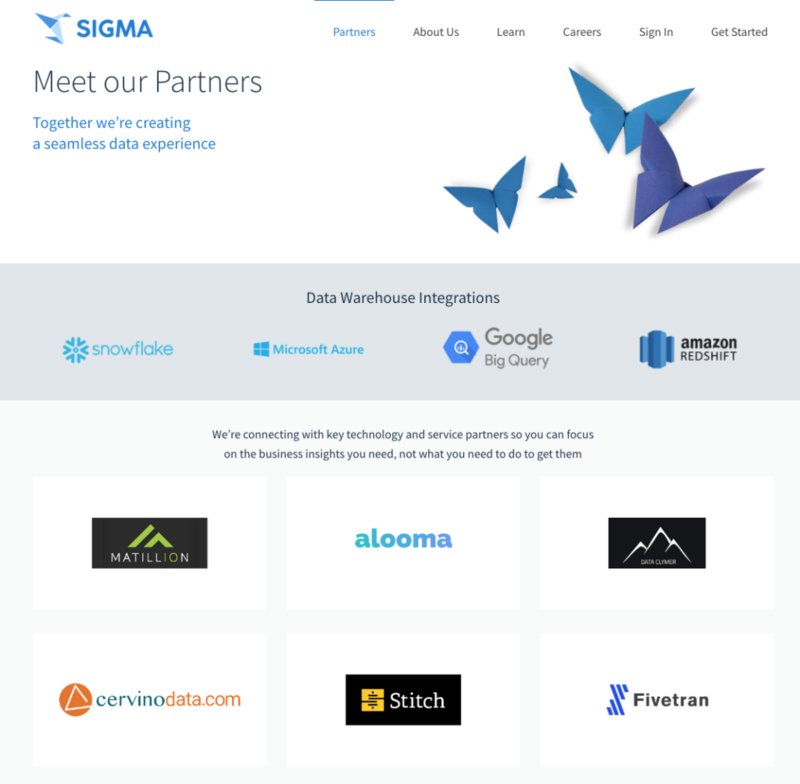 Many Sigma customers have Google Big Query as their Cloud data powerhouse. Keeping databases like Google Big Query up-to-date and preparing your data for analysis can be a tedious and time consuming job. Cervinodata collects and stores the key metrics & dimensions of all major online advertising platforms (for all your clients) and continuously syncs this with Google Big Query. This way, your dashboards are always up-to-date. To get a better understanding of how powerful this partnership can be for your data analysis and dashboard needs can be, feel free to contact us for a live demo. Or check out the example dashboards below. Visit Sigma Computing to read more about the partnership with Cervinodata.